Teeth are vital players in digestion, help us to form our words properly, and are even central to our appearance. Enamel is the toughest substance in our bodies, offers a tough outer layer made of intricate crystals rods. As tough as teeth are, our habits can compromise our smile and leave us with the damage that can be challenging to repair. We have all crunched on ice on a hot summer day. However, chewing on a chunk of ice puts extreme strain on the crystal structure of your teeth. Teeth with large fillings are particularly susceptible, and large pieces of the tooth may gradually break away. In some instances, a tooth may split in half and be impossible to save. Many ways are found by stress to express itself and grinding and clenching of the teeth are just one of them. Teeth grinding, also known as bruxism, can chip fillings and porcelain, slowly thins the enamel and stresses the gums. Teeth that are worn often look like sandpaper has been run across the biting surface, and replacing missing enamel usually involves extensive dental treatment. An elbow to the chops takes place in a split second, but the damage can be life-changing. A number of athletic activities carry a risk of tooth fracture, and most participants do not consider protection. Basketball is a sport that can cause mouth injuries. Few players wear a mouthguard that may result in unwanted damage. In recent years, though smoking has declined, the use of snuff has continued to climb over the past 15 years. Around 50,000 people in the U.S. will be diagnosed with oral cancer each year, and a number will suffer from adverse effects of this highly addictive habit. Bad breath, gum recession, and tooth decay are just a few of the issues ensuing from the approx. three thousand chemicals found in chewing tobacco. You most likely know that soda is loaded with sugar. A typical can delivers nine teaspoons on average, and sugar offers an ideal energy source for the bacteria that cause cavities. However, are you aware many sports drinks hold just as much and often get consumed in larger quantities? Furthermore, many carbonated beverages contain different types of acid that erode the mineral in your teeth. 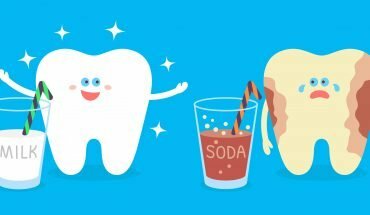 Even diet sodas can dramatically change the acidity of your mouth and weaken the surface of the teeth. Majority of people want to enjoy a lifetime with their teeth, but just one bad habit can undermine the best solutions. 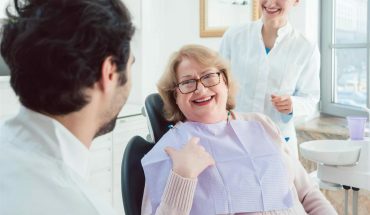 To enhance your smile and keep your natural teeth for life, have regular dental checkups and continually evaluate behaviors that might compromise your dental care efforts. How To Take Care After Dental Implant Treatment? There are a lot of patients missing one or more teeth. They once had to select from options such as partials dentures or bridges. Now there is the option of dental implants. How Often Should You Visit The Dental Office? Is Whitening Safe for my Teeth? Three business day cancellation policy in effect for weekday & saturday appointments.